Bring the family out for fun, healthy things to do! Open Jumps are indoor play sessions where your child can have fun while getting a healthy workout that burns off excess energy and helps keep them fit. It's fun for kids of all ages. 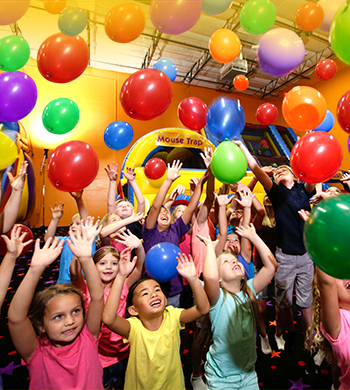 Let your kids run wild and jump on our massive inflatables! Spend time with your family, meet other families, and make new friends in a safe, clean, climate controlled environment. Space is limited & reservations are recommended! Check Event Calendar for dates & times!